The first thing that comes into mind when someone talks about human experimentation is probably the atrocities committed by the Nazis in the 20th century. After the Tuskegee experiments done on African Americans to find out the natural progression of untreated syphilis would follow hot on its heels. But unit 731 is probably just another number to most people. 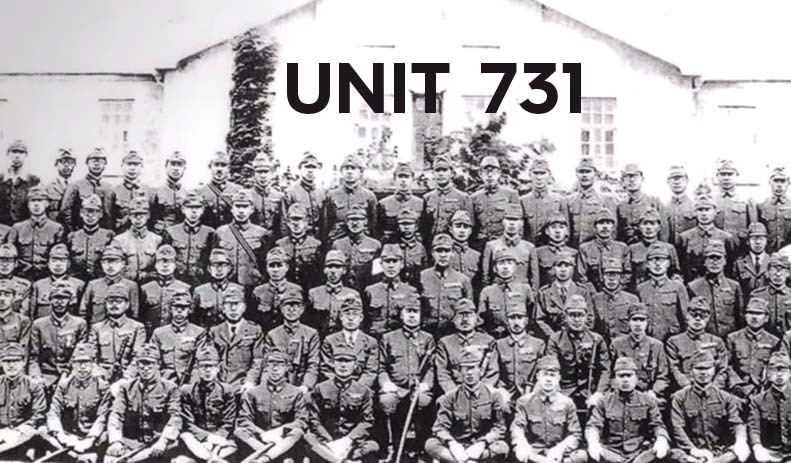 It would not be associated with the Holocaust or concentration camps, but that was exactly what unit 731 was. In fact typing “Japanese army human experimentation” would only bring a pitiful 240,000 search results on google whilst typing in “Nazi human experimentation” would bring a search result close to 1 million, despite the fact that the Unit 731 was established much earlier than the Nazi concentration camps where similar atrocities were committed and the experimentation. In fact only a pitiful amount is still known about what really went on in the unit. Before 1984, few people knew about the experimentation occurring until the Japanese government acknowledged that human experimentation was conducted in the unit in the name of research and several leaked videos from the interview of Lieutenant Shiro Ishii who headed the unit and other researchers of the unit, that some of the horrific atrocities committed there were revealed. It was one of several units used to develop weapons for biological and chemical warfare, by the Japanese Imperial Army during WWII to understand the extent that the human body could withstand, to improve surgical procedures, to spread diseases using human containers to name a few. Some experiments included to see how much pressure the human body could withstand and locking prisoners of war- some civilians, some military into pressure containers and increasing the pressure until the organs exploded. Life vivisection was also of interest to see the effect of how the disease progressed in the body and anesthetic was not used when the vivisection occurred because it might “affect” the results. Another experiment which has been reveled was the frostbite experiment, where individuals would be taken outside and then dipping various appendages in water to allow them to freeze. Then the ice would be chipped away once they determined that the limb was fully frozen to identify any areas which remained unfrozen. Women were often raped and forced into pregnancy to see if any vertical transmission of various diseases such as syphilis (mother to fetus infection through the placenta) would occur. Other stated interests was to see how much damage the fetus could survive in. However there have been no accounts of survivors children and babies included of unit 731. However most experiments that have come to light were to produce effective biological weapons. The bombs allowed the Japanese to launch biological attacks on agriculture, wells, reservoirs, infecting food supplies and clothing and distributing them to areas not occupied by the Japanese. The location of the unit was in Pingfan, in the province of Harbin, northern China and was built in 1935 and destroyed in 1945 after the Japanese were defeated and fled China. However, before they cleared out the building, they killed the remaining prisoners and blew up the compound to hide their activities. Most of the victims were Chinese however about 30% were Russian, a proportion were American and there were Mongolians and Koreans who were brought to the facility from other Japanese occupied areas. Some were prisoners of war, some were soldiers and others were normal civilians. Why was this kept unknown for so long? This was because of the American grant of immunity. After the Japanese surrender to the USA, and with the threat of communism, the physicians of unit 731 agreed to share their data with the US from the human experimentation. None of the physicians were managed to flee back to Japan ever got prosecuted and General Shiro Ishii lived a long life working in both the public and private sector in Japan. Many of the physicians and researchers of Unit 731 became prominent scientists and surgeons for their knowledge accrued from the experiments. The Japanese have also never apologized or were punished for their war crimes as the only evidence are testimonies from researchers and medical assistants who had previously worked in Unit 731. 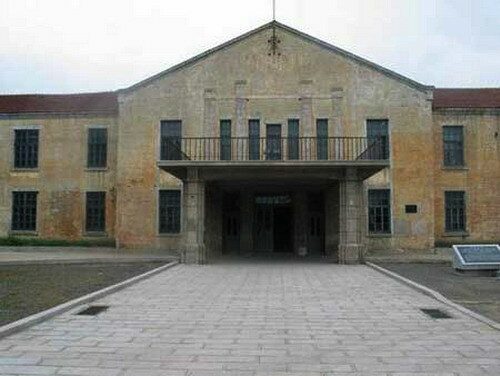 There is currently the Unit 731 war crimes museum which is open to the public in Harbin where visitors can visit the actual building where all these crimes took place in. Next Will North & South Korea ever be reunited again like Germany?